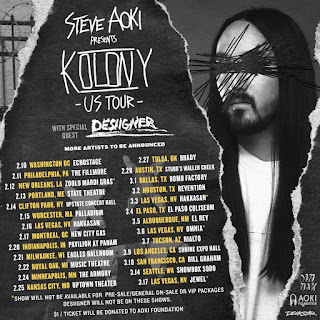 Two time Grammy nominated producer and DJ, Steve Aoki announces his North American tour dates for the ‘Kolony Tour, ’ with Brooklyn born rapper and producer, Desiigner. The 32-city run kicks off February 10th in Washington D.C. and wraps March 17th in Las Vegas, Nevada. 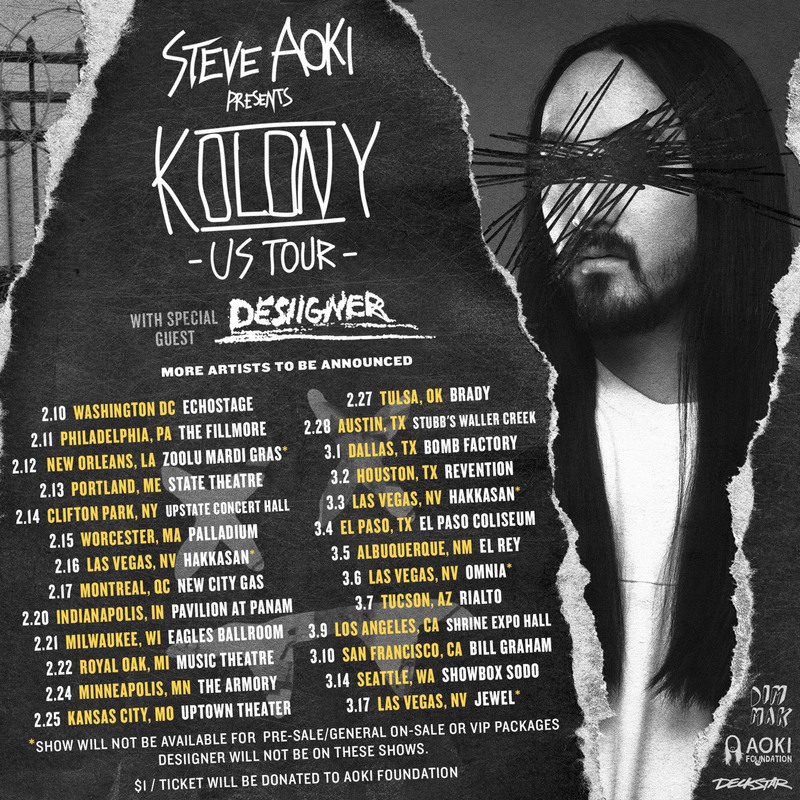 Complete tour routing can be found below.